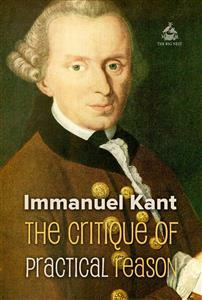 The Critique of Practical Reason follows on from Kant's Critique of Pure Reason and deals with his moral philosophy. The second Critique exercised a decisive influence over the subsequent development of the field of ethics and moral philosophy, beginning with Johann Gottlieb Fichte's Doctrine of Science and becoming, during the 20th century, the principal reference point for deontological moral philosophy. Freedom, however, is the only one of all the ideas of the speculative reason of which we know the possibility a priori (without, however, understanding it), because it is the condition of the moral law which we know. * The ideas of God and immortality, however, are not conditions of the moral law, but only conditions of the necessary object of a will determined by this law; that is to say, conditions of the practical use of our pure reason. Hence, with respect to these ideas, we cannot affirm that we know and understand, I will not say the actuality, but even the possibility of them. However they are the conditions of the application of the morally determined will to its object, which is given to it a priori, viz., the summum bonum. Consequently in this practical point of view their possibility must be assumed, although we cannot theoretically know and understand it. To justify this assumption it is sufficient, in a practical point of view, that they contain no intrinsic impossibility (contradiction). Here we have what, as far as speculative reason is concerned, is a merely subjective principle of assent, which, however, is objectively valid for a reason equally pure but practical, and this principle, by means of the concept of freedom, assures objective reality and authority to the ideas of God and immortality. Nay, there is a subjective necessity (a need of pure reason) to assume them. Nevertheless the theoretical knowledge of reason is not hereby enlarged, but only the possibility is given, which heretofore was merely a problem and now becomes assertion, and thus the practical use of reason is connected with the elements of theoretical reason. And this need is not a merely hypothetical one for the arbitrary purposes of speculation, that we must assume something if we wish in speculation to carry reason to its utmost limits, but it is a need which has the force of law to assume something without which that cannot be which we must inevitably set before us as the aim of our action. * Lest any one should imagine that he finds an inconsistency here when I call freedom the condition of the moral law, and hereafter maintain in the treatise itself that the moral law is the condition under which we can first become conscious of freedom, I will merely remark that freedom is the ratio essendi of the moral law, while the moral law is the ratio cognoscendi of freedom. For had not the moral law been previously distinctly thought in our reason, we should never consider ourselves justified in assuming such a thing as freedom, although it be not contradictory. But were there no freedom it would be impossible to trace the moral law in ourselves at all. It would certainly be more satisfactory to our speculative reason if it could solve these problems for itself without this circuit and preserve the solution for practical use as a thing to be referred to, but in fact our faculty of speculation is not so well provided. Those who boast of such high knowledge ought not to keep it back, but to exhibit it publicly that it may be tested and appreciated. They want to prove: very good, let them prove; and the critical philosophy lays its arms at their feet as the victors. Quid statis? Nolint. Atqui licet esse beatis. As they then do not in fact choose to do so, probably because they cannot, we must take up these arms again in order to seek in the mortal use of reason, and to base on this, the notions of God, freedom, and immortality, the possibility of which speculation cannot adequately prove. * The union of causality as freedom with causality as rational mechanism, the former established by the moral law, the latter by the law of nature in the same subject, namely, man, is impossible, unless we conceive him with reference to the former as a being in himself, and with reference to the latter as a phenomenon- the former in pure consciousness, the latter in empirical consciousness. Otherwise reason inevitably contradicts itself. By this also I can understand why the most considerable objections which I have as yet met with against the Critique turn about these two points, namely, on the one side, the objective reality of the categories as applied to noumena, which is in the theoretical department of knowledge denied, in the practical affirmed; and on the other side, the paradoxical demand to regard oneself qua subject of freedom as a noumenon, and at the same time from the point of view of physical nature as a phenomenon in one’s own empirical consciousness; for as long as one has formed no definite notions of morality and freedom, one could not conjecture on the one side what was intended to be the noumenon, the basis of the alleged phenomenon, and on the other side it seemed doubtful whether it was at all possible to form any notion of it, seeing that we had previously assigned all the notions of the pure understanding in its theoretical use exclusively to phenomena. Nothing but a detailed criticism of the practical reason can remove all this misapprehension and set in a clear light the consistency which constitutes its greatest merit. So much by way of justification of the proceeding by which, in this work, the notions and principles of pure speculative reason which have already undergone their special critical examination are, now and then, again subjected to examination. This would not in other cases be in accordance with the systematic process by which a science is established, since matters which have been decided ought only to be cited and not again discussed. In this case, however, it was not only allowable but necessary, because reason is here considered in transition to a different use of these concepts from what it had made of them before. Such a transition necessitates a comparison of the old and the new usage, in order to distinguish well the new path from the old one and, at the same time, to allow their connection to be observed. Accordingly considerations of this kind, including those which are once more directed to the concept of freedom in the practical use of the pure reason, must not be regarded as an interpolation serving only to fill up the gaps in the critical system of speculative reason (for this is for its own purpose complete), or like the props and buttresses which in a hastily constructed building are often added afterwards; but as true members which make the connexion of the system plain, and show us concepts, here presented as real, which there could only be presented problematically. This remark applies especially to the concept of freedom, respecting which one cannot but observe with surprise that so many boast of being able to understand it quite well and to explain its possibility, while they regard it only psychologically, whereas if they had studied it in a transcendental point of view, they must have recognized that it is not only indispensable as a problematical concept, in the complete use of speculative reason, but also quite incomprehensible; and if they afterwards came to consider its practical use, they must needs have come to the very mode of determining the principles of this, to which they are now so loth to assent. The concept of freedom is the stone of stumbling for all empiricists, but at the same time the key to the loftiest practical principles for critical moralists, who perceive by its means that they must necessarily proceed by a rational method. For this reason I beg the reader not to pass lightly over what is said of this concept at the end of the Analytic. I must leave it to those who are acquainted with works of this kind to judge whether such a system as that of the practical reason, which is here developed from the critical examination of it, has cost much or little trouble, especially in seeking not to miss the true point of view from which the whole can be rightly sketched. It presupposes, indeed, the Fundamental Principles of the Metaphysic of Morals, but only in so far as this gives a preliminary acquaintance with the principle of duty, and assigns and justifies a definite formula thereof; in other respects it is independent. * It results from the nature of this practical faculty itself that the complete classification of all practical sciences cannot be added, as in the critique of the speculative reason. For it is not possible to define duties specially, as human duties, with a view to their classification, until the subject of this definition (viz., man) is known according to his actual nature, at least so far as is necessary with respect to duty; this, however, does not belong to a critical examination of the practical reason, the business of which is only to assign in a complete manner the principles of its possibility, extent, and limits, without special reference to human nature. The classification then belongs to the system of science, not to the system of criticism. * A reviewer who wanted to find some fault with this work has hit the truth better, perhaps, than he thought, when he says that no new principle of morality is set forth in it, but only a new formula. But who would think of introducing a new principle of all morality and making himself as it were the first discoverer of it, just as if all the world before him were ignorant what duty was or had been in thorough-going error? But whoever knows of what importance to a mathematician a formula is, which defines accurately what is to be done to work a problem, will not think that a formula is insignificant and useless which does the same for all duty in general. *(2) It might also have been objected to me that I have not first defined the notion of the faculty of desire, or of the feeling of Pleasure, although this reproach would be unfair, because this definition might reasonably be presupposed as given in psychology. However, the definition there given might be such as to found the determination of the faculty of desire on the feeling of pleasure (as is commonly done), and thus the supreme principle of practical philosophy would be necessarily made empirical, which, however, remains to be proved and in this critique is altogether refuted. It will, therefore, give this definition here in such a manner as it ought to be given, in order to leave this contested point open at the beginning, as it should be. LIFE is the faculty a being has of acting according to laws of the faculty of desire. The faculty of DESIRE is the being’s faculty of becoming by means of its ideas the cause of the actual existence of the objects of these ideas. PLEASURE is the idea of the agreement of the object, or the action with the subjective conditions of life, i.e., with the faculty of causality of an idea in respect of the actuality of its object (or with the determination of the forces of the subject to action which produces it). I have no further need for the purposes of this critique of notions borrowed from psychology; the critique itself supplies the rest. It is easily seen that the question whether the faculty of desire is always based on pleasure, or whether under certain conditions pleasure only follows the determination of desire, is by this definition left undecided, for it is composed only of terms belonging to the pure understanding, i.e., of categories which contain nothing empirical. Such precaution is very desirable in all philosophy and yet is often neglected; namely, not to prejudge questions by adventuring definitions before the notion has been completely analysed, which is often very late. It may be observed through the whole course of the critical philosophy (of the theoretical as well as the practical reason) that frequent opportunity offers of supplying defects in the old dogmatic method of philosophy, and of correcting errors which are not observed until we make such rational use of these notions viewing them as a whole. When we have to study a particular faculty of the human mind in its sources, its content, and its limits; then from the nature of human knowledge we must begin with its parts, with an accurate and complete exposition of them; complete, namely, so far as is possible in the present state of our knowledge of its elements. But there is another thing to be attended to which is of a more philosophical and architectonic character, namely, to grasp correctly the idea of the whole, and from thence to get a view of all those parts as mutually related by the aid of pure reason, and by means of their derivation from the concept of the whole. This is only possible through the most intimate acquaintance with the system; and those who find the first inquiry too troublesome, and do not think it worth their while to attain such an acquaintance, cannot reach the second stage, namely, the general view, which is a synthetical return to that which had previously been given analytically. It is no wonder then if they find inconsistencies everywhere, although the gaps which these indicate are not in the system itself, but in their own incoherent train of thought. * I am more afraid in the present treatise of occasional misconception in respect of some expressions which I have chosen with the greatest care in order that the notion to which they point may not be missed. Thus, in the table of categories of the Practical reason under the title of Modality, the Permitted, and forbidden (in a practical objective point of view, possible and impossible) have almost the same meaning in common language as the next category, duty and contrary to duty. Here, however, the former means what coincides with, or contradicts, a merely possible practical precept (for example, the solution of all problems of geometry and mechanics); the latter, what is similarly related to a law actually present in the reason; and this distinction is not quite foreign even to common language, although somewhat unusual. For example, it is forbidden to an orator, as such, to forge new words or constructions; in a certain degree this is permitted to a poet; in neither case is there any question of duty. For if anyone chooses to forfeit his reputation as an orator, no one can prevent him. We have here only to do with the distinction of imperatives into problematical, assertorial, and apodeictic. Similarly in the note in which I have pared the moral ideas of practical perfection in different philosophical schools, I have distinguished the idea of wisdom from that of holiness, although I have stated that essentially and objectively they are the same. But in that place I understand by the former only that wisdom to which man (the Stoic) lays claim; therefore I take it subjectively as an attribute alleged to belong to man. (Perhaps the expression virtue, with which also the Stoic made great show, would better mark the characteristic of his school.) The expression of a postulate of pure practical reason might give most occasion to misapprehension in case the reader confounded it with the signification of the postulates in pure mathematics, which carry apodeictic certainty with them. These, however, postulate the possibility of an action, the object of which has been previously recognized a priori in theory as possible, and that with perfect certainty. But the former postulates the possibility of an object itself (God and the immortality of the soul) from apodeictic practical laws, and therefore only for the purposes of a practical reason. This certainty of the postulated possibility then is not at all theoretic, and consequently not apodeictic; that is to say, it is not a known necessity as regards the object, but a necessary supposition as regards the subject, necessary for the obedience to its objective but practical laws. It is, therefore, merely a necessary hypothesis. I could find no better expression for this rational necessity, which is subjective, but yet true and unconditional. In this manner, then, the a priori principles of two faculties of the mind, the faculty of cognition and that of desire, would be found and determined as to the conditions, extent, and limits of their use, and thus a sure foundation be paid for a scientific system of philosophy, both theoretic and practical. Nothing worse could happen to these labours than that anyone should make the unexpected discovery that there neither is, nor can be, any a priori knowledge at all. But there is no danger of this. This would be the same thing as if one sought to prove by reason that there is no reason. For we only say that we know something by reason, when we are conscious that we could have known it, even if it had not been given to us in experience; hence rational knowledge and knowledge a priori are one and the same. It is a clear contradiction to try to extract necessity from a principle of experience (ex pumice aquam), and to try by this to give a judgement true universality (without which there is no rational inference, not even inference from analogy, which is at least a presumed universality and objective necessity). To substitute subjective necessity, that is, custom, for objective, which exists only in a priori judgements, is to deny to reason the power of judging about the object, i.e., of knowing it, and what belongs to it. It implies, for example, that we must not say of something which often or always follows a certain antecedent state that we can conclude from this to that (for this would imply objective necessity and the notion of an a priori connexion), but only that we may expect similar cases (just as animals do), that is that we reject the notion of cause altogether as false and a mere delusion. As to attempting to remedy this want of objective and consequently universal validity by saying that we can see no ground for attributing any other sort of knowledge to other rational beings, if this reasoning were valid, our ignorance would do more for the enlargement of our knowledge than all our meditation. For, then, on this very ground that we have no knowledge of any other rational beings besides man, we should have a right to suppose them to be of the same nature as we know ourselves to be: that is, we should really know them. I omit to mention that universal assent does not prove the objective validity of a judgement (i.e., its validity as a cognition), and although this universal assent should accidentally happen, it could furnish no proof of agreement with the object; on the contrary, it is the objective validity which alone constitutes the basis of a necessary universal consent. Hume would be quite satisfied with this system of universal empiricism, for, as is well known, he desired nothing more than that, instead of ascribing any objective meaning to the necessity in the concept of cause, a merely subjective one should be assumed, viz., custom, in order to deny that reason could judge about God, freedom, and immortality; and if once his principles were granted, he was certainly well able to deduce his conclusions therefrom, with all logical coherence. But even Hume did not make his empiricism so universal as to include mathematics. He holds the principles of mathematics to be analytical; and if his were correct, they would certainly be apodeictic also: but we could not infer from this that reason has the faculty of forming apodeictic judgements in philosophy also- that is to say, those which are synthetical judgements, like the judgement of causality. But if we adopt a universal empiricism, then mathematics will be included. Now if this science is in contradiction with a reason that admits only empirical principles, as it inevitably is in the antinomy in which mathematics prove the infinite divisibility of space, which empiricism cannot admit; then the greatest possible evidence of demonstration is in manifest contradiction with the alleged conclusions from experience, and we are driven to ask, like Cheselden’s blind patient, “Which deceives me, sight or touch?” (for empiricism is based on a necessity felt, rationalism on a necessity seen). And thus universal empiricism reveals itself as absolute scepticism. It is erroneous to attribute this in such an unqualified sense to Hume, * since he left at least one certain touchstone (which can only be found in a priori principles), although experience consists not only of feelings, but also of judgements. * Names that designate the followers of a sect have always been accompanied with much injustice; just as if one said, “N is an Idealist.” For although he not only admits, but even insists, that our ideas of external things have actual objects of external things corresponding to them, yet he holds that the form of the intuition does not depend on them but on the human mind. However, as in this philosophical and critical age such empiricism can scarcely be serious, and it is probably put forward only as an intellectual exercise and for the purpose of putting in a clearer light, by contrast, the necessity of rational a priori principles, we can only be grateful to those who employ themselves in this otherwise uninstructive labour. Of the Idea of a Critique of Practical Reason. The theoretical use of reason was concerned with objects of the cognitive faculty only, and a critical examination of it with reference to this use applied properly only to the pure faculty of cognition; because this raised the suspicion, which was afterwards confirmed, that it might easily pass beyond its limits, and be lost among unattainable objects, or even contradictory notions. It is quite different with the practical use of reason. In this, reason is concerned with the grounds of determination of the will, which is a faculty either to produce objects corresponding to ideas, or to determine ourselves to the effecting of such objects (whether the physical power is sufficient or not); that is, to determine our causality. For here, reason can at least attain so far as to determine the will, and has always objective reality in so far as it is the volition only that is in question. The first question here then is whether pure reason of itself alone suffices to determine the will, or whether it can be a ground of determination only as dependent on empirical conditions. Now, here there comes in a notion of causality justified by the critique of the pure reason, although not capable of being presented empirically, viz., that of freedom; and if we can now discover means of proving that this property does in fact belong to the human will (and so to the will of all rational beings), then it will not only be shown that pure reason can be practical, but that it alone, and not reason empirically limited, is indubitably practical; consequently, we shall have to make a critical examination, not of pure practical reason, but only of practical reason generally. For when once pure reason is shown to exist, it needs no critical examination. For reason itself contains the standard for the critical examination of every use of it. The critique, then, of practical reason generally is bound to prevent the empirically conditioned reason from claiming exclusively to furnish the ground of determination of the will. If it is proved that there is a [practical] reason, its employment is alone immanent; the empirically conditioned use, which claims supremacy, is on the contrary transcendent and expresses itself in demands and precepts which go quite beyond its sphere. This is just the opposite of what might be said of pure reason in its speculative employment. However, as it is still pure reason, the knowledge of which is here the foundation of its practical employment, the general outline of the classification of a critique of practical reason must be arranged in accordance with that of the speculative. We must, then, have the Elements and the Methodology of it; and in the former an Analytic as the rule of truth, and a Dialectic as the exposition and dissolution of the illusion in the judgements of practical reason. But the order in the subdivision of the Analytic will be the reverse of that in the critique of the pure speculative reason. For, in the present case, we shall commence with the principles and proceed to the concepts, and only then, if possible, to the senses; whereas in the case of the speculative reason we began with the senses and had to end with the principles. The reason of this lies again in this: that now we have to do with a will, and have to consider reason, not in its relation to objects, but to this will and its causality. We must, then, begin with the principles of a causality not empirically conditioned, after which the attempt can be made to establish our notions of the determining grounds of such a will, of their application to objects, and finally to the subject and its sense faculty. We necessarily begin with the law of causality from freedom, that is, with a pure practical principle, and this determines the objects to which alone it can be applied. ELEMENTS OF PURE PRACTICAL REASON. Supposing that pure reason contains in itself a practical motive, that is, one adequate to determine the will, then there are practical laws; otherwise all practical principles will be mere maxims. In case the will of a rational being is pathologically affected, there may occur a conflict of the maxims with the practical laws recognized by itself. For example, one may make it his maxim to let no injury pass unrevenged, and yet he may see that this is not a practical law, but only his own maxim; that, on the contrary, regarded as being in one and the same maxim a rule for the will of every rational being, it must contradict itself. In natural philosophy the principles of what happens, (e.g., the principle of equality of action and reaction in the communication of motion) are at the same time laws of nature; for the use of reason there is theoretical and determined by the nature of the object. In practical philosophy, i.e., that which has to do only with the grounds of determination of the will, the principles which a man makes for himself are not laws by which one is inevitably bound; because reason in practical matters has to do with the subject, namely, with the faculty of desire, the special character of which may occasion variety in the rule. The practical rule is always a product of reason, because it prescribes action as a means to the effect. But in the case of a being with whom reason does not of itself determine the will, this rule is an imperative, i.e., a rule characterized by “shall,” which expresses the objective necessitation of the action and signifies that, if reason completely determined the will, the action would inevitably take place according to this rule. Imperatives, therefore, are objectively valid, and are quite distinct from maxims, which are subjective principles. The former either determine the conditions of the causality of the rational being as an efficient cause, i.e., merely in reference to the effect and the means of attaining it; or they determine the will only, whether it is adequate to the effect or not. The former would be hypothetical imperatives, and contain mere precepts of skill; the latter, on the contrary, would be categorical, and would alone be practical laws. Thus maxims are principles, but not imperatives. Imperatives themselves, however, when they are conditional (i.e., do not determine the will simply as will, but only in respect to a desired effect, that is, when they are hypothetical imperatives), are practical precepts but not laws. Laws must be sufficient to determine the will as will, even before I ask whether I have power sufficient for a desired effect, or the means necessary to produce it; hence they are categorical: otherwise they are not laws at all, because the necessity is wanting, which, if it is to be practical, must be independent of conditions which are pathological and are therefore only contingently connected with the will. Tell a man, for example, that he must be industrious and thrifty in youth, in order that he may not want in old age; this is a correct and important practical precept of the will. But it is easy to see that in this case the will is directed to something else which it is presupposed that it desires; and as to this desire, we must leave it to the actor himself whether he looks forward to other resources than those of his own acquisition, or does not expect to be old, or thinks that in case of future necessity he will be able to make shift with little. Reason, from which alone can spring a rule involving necessity, does, indeed, give necessity to this precept (else it would not be an imperative), but this is a necessity dependent on subjective conditions, and cannot be supposed in the same degree in all subjects. But that reason may give laws it is necessary that it should only need to presuppose itself, because rules are objectively and universally valid only when they hold without any contingent subjective conditions, which distinguish one rational being from another. Now tell a man that he should never make a deceitful promise, this is a rule which only concerns his will, whether the purposes he may have can be attained thereby or not; it is the volition only which is to be determined a priori by that rule. If now it is found that this rule is practically right, then it is a law, because it is a categorical imperative. Thus, practical laws refer to the will only, without considering what is attained by its causality, and we may disregard this latter (as belonging to the world of sense) in order to have them quite pure. All practical principles which presuppose an object (matter) of the faculty of desire as the ground of determination of the will are empirical and can furnish no practical laws.